What will happen to the JSA? The question that everyone has been asking me since Nathan Tinanoff resigned his position as Director of the JSA on September 30th is,”What will happen to the Judaica Sound Archives? The JSA will continue to thrive…but, there will be changes. 1. The JSA will continue to have the largest online collection of Judaic music and voice in the world. 2. The JSA website (www.fau.edu) will continue to delight you with collections featuring performers of the past, cantorial greats and new artists. 3. The JSA Research Station will continue to bring Judaic music to scholars and students at institutions of Judaic studies around the world. 4. The JSA blog will continue to bring you information about new music collections and the goings on at the JSA at Florida Atlantic University. 5. The JSA will continue to be found on the 5th floor of the Wimberly Library on FAU’s Boca Raton campus. The JSA will no longer stand alone. It is now part of a family of sound archives at FAU Libraries. The newly formed Recorded Sound Archives at Florida Atlantic University Libraries is larger and more diverse. The JSA will join a preservation effort that includes not only Jewish culture but also classical music, opera, jazz and American folk and pop. I am pleased to accept the position as Director of FAU Library’s Recorded Sound Archives. I have worked closely with Nat Tinanoff since the inception of the JSA. As the JSA’s Assistant Director I have seen it grow from a few thousand recordings into a major Judaic music resource. I look forward to building upon our success as we develop FAU’s Recorded Sound Archives. “The Jazz Singer,” released in 1927, was the first commercially successful “talking motion picture.” One of the most iconic moments in movie history occurs in this film when Al Jolson on stage, turns to his enthusiastic audience and says, “Wait a minute! You ain’t heard nothin’ yet!” This promise of even more exciting entertainment to come is fulfilled as he sings “Toot-toot-tootsie” using moves that could have made Elvis Presley and Michael Jackson jealous. The effect is electrifying. Known as “The World’s Greatest Entertainer” during his lifetime, Al Jolson’s life story (on which the movie was based) tells of a young Jewish boy who is driven to become a Pop singer despite the fact that his Orthodox father wants him to be a Cantor. Who would think that a Jewish child born in anti-Semitic Tsarist Russia could become an American entertainment icon whose fame would continue to flourish more than 50 years after his death? When Asa Yoelson was only four years old his father became a rabbi and left his family and the old country to find a better life. 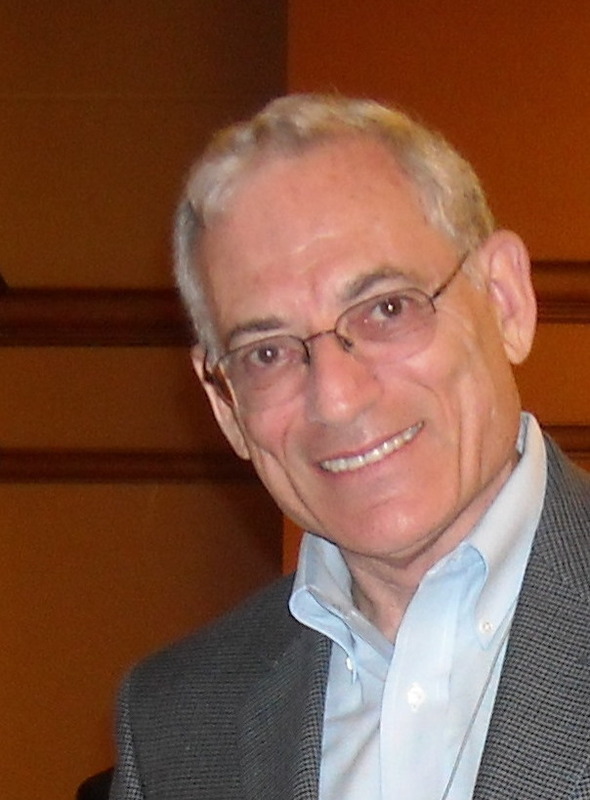 After four years the Rabbi found a position in Washington D.C. and his family joined him. Tragically Asa’s mother died in 1895 only a short time after her arrival in the USA. Embracing their “American” identities, young Asa soon became known as Al and his older brother Hirsh became Harry. The boys were obsessed with show business and by 1901 they were getting bookings in burlesque and vaudeville. 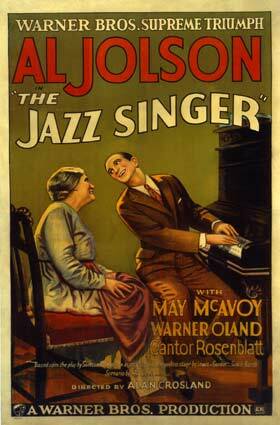 In 1904 Al, now known as Al Jolson, was called upon to fill-in for a performer in a blackface vaudeville comedy show. Blackface, an important performance tradition in the American theater beginning around 1830 can now be seen as racist and offensive. But to young Al Jolson it was a blessing. Hidden behind the make-up, he found that he could give a freer, more energetic performance. When this chance opportunity was well-received by the audience and critics, he soon decided to continue using blackface. The spontaneity and freedom he felt when in blackface elevated his performance and his fame. In 1911 Jolson had his Broadway debut. His rendition of George M. Cohan’s Haunting Melody in the show “Vera Violetta “made him a Broadway star. This was followed by other Broadway musicals and other hits for Jolson including You Made Me Love You in 1913 where he sang the final chorus pleading on one knee, a pose he would assume many times over in his career; Rock-a-Bye Your Baby With a Dixie Melody (1918); and George Gershwins’s Swanee (1918). To hear all 55 songs in the JSA’s collection, click here. This collection of songs originally recorded by Al Jolson on 78 rpm discs between 1911 and 1919 was digitized and compiled by The Judaica Sound Archives at Florida Atlantic University Libraries. These albums are not available for sale or reproduction.